The List of Excluded Individuals and Entities (LEIE) is a vital exclusion screening database for all individuals and entities involved in federal health business. However, more than half of the states now include their own screening requirements along with the LEIE. It’s important for a provider not to stop at referencing the LEIE alone. For starters, you can use the OIG’s Exclusions Database page. This is a great tool to search one individual at a time. verification of the HHS OIG search results using the Employer Identification Number or Social Security Number. The states that currently maintain their own separate exclusion screening databases are Alabama, Alaska, Arizona, Arkansas, California, Connecticut, Florida, Georgia, Hawaii, Idaho, Illinois, Iowa, Kansas, Kentucky. Louisiana, Maine, Maryland, Massachusetts, Michigan, Minnesota, Mississippi, Missouri, Montana, Nebraska, Nevada, New Jersey, New York, North Carolina, North Dakota, Ohio, Pennsylvania, South Carolina, Tennessee, Texas, Washington, Washington, DC, West Virginia, and Wyoming. If you live or work in any one of them, you will need to regularly check your state’s database for updates on the exclusions list. Find your list of state databases with Streamline Verify’s OIG exclusions software. Pay attention to each state’s instructions as each state has unique laws such as Ohio. OIG Exclusion Screening has never been so easy! Screening against these databases may seem tedious, but there are inexpensive and practical ways around it. Also, GSA recently migrated the EPLS to its SAM database, while the HHS will be merging the HIPDB into the NPDB, so the reference list will get shorter over time. To further ensure that you are not employing an excluded individual or entity, your organization has to have a thorough compliance policy and processing in place. Someone may initially pass a sanction screening, but policies can guard against possible compliance problems in the future. 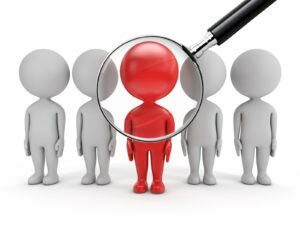 For instance, you can have potential new hires or providers attest to not currently being, or having been, the subject of an investigation before you employ them. This step cannot be emphasized enough – do not be lulled into a false sense of security over someone passing an initial sanction screening. It could be that the employee was going through an investigation at the time of the screening, but had yet to be sanctioned; in which case no exclusion records would have been made at the time. Regularly monthly screenings can address this issue for employees, staff, and vendors, and can keep you from paying stiff penalties for non-compliance.